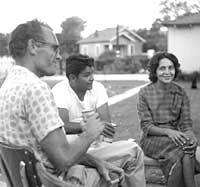 For several years, Fred Ross, Sr. (1910-1992) had in mind to “write a book” about Cesar, his work with Cesar, Cesar’s work organizing farmworkers, etc. But as is the case with many activists, they do not understand and appreciate how difficult “writing a book” is, and of course they don’t want some else to write their book for them, and so they meander around for years and nothing comes to fruition. This is what happened to Fred. Long after Fred retired, Cesar still heard him talking about the book he was writing and so he assigned Marc Grossman to work with Fred. 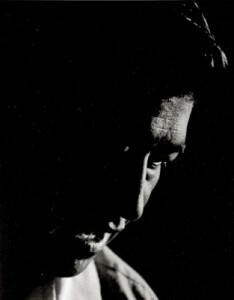 Eventually, a very small book was published in 1989 by El Taller Gráfico Press–Conquering Goliath: Cesar Chavez at the Beginning—but Fred knew it wasn’t really HIS book so he didn’t seem to care much about it. It was in preparation for the book that never came to be that Fred assiduously made a series of recordings now available on the Farmworker Movement Documentation Project website. Long before the name and image of Cesar Chavez graced street signs, school buildings, computer ads, and postage stamps, a young Mexican American organizer traveled the back roads of central California with the quixotic goal of organizing farmworkers. Although Chavez had left the Community Service Organization (CSO) because its board rejected his proposal to organize farmworkers in Oxnard, he was still in touch with many of its members, most significantly Fred Ross, Sr., the organizer who had recruited Chavez into the CSO ten years earlier. An implicit assumption in much of the historiography is that Chavez arrived in Delano to find the NFWA fully formed. But as the spring of 1962 emerged across the fields of central California, the reality was that the Goliath corporate growers were as strong as ever and “David” had only a few pebbles in his pocket. According to recorded discussions between Ross and Chavez and written narratives produced by Ross in the early 1970s, Chavez arrived in Delano with absolutely nothing—no money, no volunteers, no infrastructure—except a burning desire to organize workers in the fields. In terms of financial support, Ross was absolutely correct—Chavez had none. He later recalled to Ross that in April of 1962 he had a total of $1200 leftover from his CSO days. But it is also true that Chavez possessed several important assets that would help him to succeed–eight years of organizing experience, an extended family network that included his brother Richard and several in-laws, contacts within the CSO, and California Migrant Ministry activists. The creation of a farmworker association from scratch would have to take place simultaneously with the responsibility of providing for a large family with eight children. Throughout this period, Chavez and his wife faced enormous hardships with Helen working in the fields full-time picking grapes, cotton, and peas, and Cesar working from 6 a.m. until 2 p.m. and organizing the rest of the day and evening. Driving the length of the San Joaquin valley, Chavez began to apply the lessons he had learned as a community organizer in Los Angeles and Oxnard. One of the dominant themes in both the Ross documents and the Ross-Chavez conversations is the theme of hunger. The fact was the Chavez family simply did not have sufficient income. Immediate family members helped to pay for food and gasoline, and Chavez drew unemployment insurance for “about 14 to 16 weeks.” But there was a constant fear of running out of money, and the family would often get by on corn, beans, and potatoes from the fields. Often Chavez was forced to ask for food from the host family at the end of the last house meeting of day. Being on the receiving end of charity from friends and family can be humiliating, and Chavez was reluctant to ask for food no matter how much hunger he was feeling. 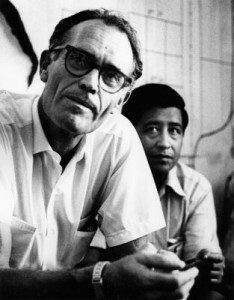 As he told Jacques Levy, it was his cousin Manuel, who had given up a steady job as a car salesman in San Diego to come to Delano, who showed him how sharing food with the workers solved the hunger problem and also allowed them to organize family by family: “To me asking for food was dishonest. I was too caught up with my own pride, my own false pride.” What struck Chavez the most was that it was always the poorest farmworker families that were the most generous. According to Ross, several of the Chavez children were diagnosed with malnutrition as the summer wore on. Helen Chavez bore the burden of putting food on the table, buying school clothes, and paying the rent. She continued to work in the fields sometimes from 5 a.m. until 6 p.m. Several family members began to ask the logical questions “Is Cesar crazy?” and “Why doesn’t he get a real job?” All of this made Chavez question himself and the viability of the task he had undertaken. After one particularly grueling campaign to arrange a house meeting in Parlier, where he spent dozens of hours over a twelve-day period with Manuel and a Catholic priest, Father Vincent Cowan, who had brought youth volunteers from Oakland, it was difficult to fight off discouragement—only three workers showed up. In terms of his organizing, Chavez initially had modest goals. As he told the SNCC interviewer: “No great plans; just that it would take an awful lot of work and also that it was a gamble. If I can’t organize them to a point where they can carry on their own group then I’m finished. I can’t do it, I’d move on and do something else.” Cousin Manuel agreed to stay on for at most six months. If there wasn’t some visible progress, he told Chavez, he would go back to San Diego. Some workers challenged Chavez about his motives. He was asked “Who’s paying you?” and when he replied “No one” workers either turned away in disbelief or laughed in his face. “Why would anyone do what you’re doing for no pay?,” they said mockingly. Chavez complained to Ross that he couldn’t “win for losing”—if he were on someone’s payroll, the workers distrusted him; if he worked for free, they still distrusted him. The earliest house meetings had few attendees and those who did attend were reluctant to talk about wages. When Chavez asked them how much they made and how much they thought they should make, he was troubled by the workers’ low expectations (which he later realized was their realism). To draw them in, he emphasized issues such as abusive contractors who would sexually exploit women workers, charge for cold water in the fields, refuse to provide toilets in the fields, and garnish workers’ wages. He talked about creating a credit union and a burial fund so that the workers could bury their relatives with dignity. At times he would challenge the workers’ inaction directly. According to Ross’ account, Chavez often would get up to leave a meeting and announce: “I know that nobody in this room is going to help; I know that… But I know that I am going to be able to find one man in this county that will help. That is all I need, just one man, because that man is going to help me gradually find a few other people that have the guts to come out and begin to work for all of us.” By the end of the summer, he had visited over eighty small communities up and down the valley. Interest in the association was slowly beginning to grow. What that old office machine made possible was one of the keys to Chavez’s campaign–the “Voto popular” or farmworker census. By distributing thousands of pre-stamped mimeographed postcards stapled to leaflets with contact information and explanations of social security in Spanish, the organizers were able to construct a database of workers throughout the valley. Cards also asked about current wages in a particular area and what salary workers thought would be fair. Ross explains that one of the purposes of the census was to locate potential leaders. Those workers who wrote personal notes like “Good luck” on the returned cards would receive a special visit from Chavez himself. Throughout the summer, the entire Chavez family worked in the fields in morning and then drove their run-down 1953 Mercury station wagon up and down the valley distributing leaflets. The small cadre of leafleters now included Chavez’s young children and his cousin Manuel. According to Chavez, foremen who saw the children in the fields often were unaware that they were passing out information; the children would be gone before the foremen realized what was happening. The summer of ’62 was coming to an end, but what Fred Ross, Sr., referred to as the “eight month agony” of the Chavez family was not over. The voto popular had produced a list of names to which letters were sent announcing that the founding convention of the National Farmworkers Association would be held in Fresno on September 30. The convention was a success but the group still had no funding. Six months had passed since the Chavez family drove into Delano, but the hardships of creating a union from scratch continued into the fall and winter. 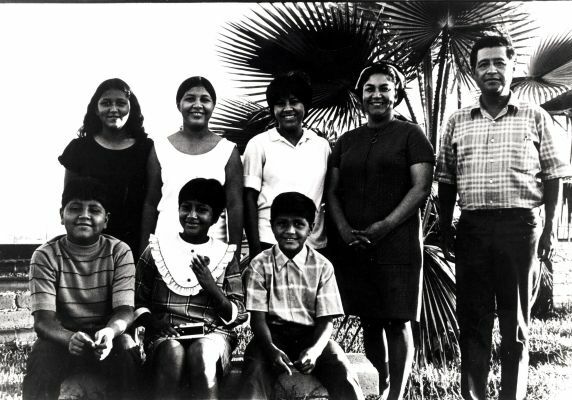 Helen and Cesar were back in the fields at 6 a.m., picking cotton until the late afternoon, and in the evening cooking and caring for the children, writing a constitution for the new organization, building the first successful farmworker union. As the 50th anniversary of the founding of the NFWA/UFW approaches, the Chavez legacy has been subjected to both sentimentalism and crass revisionism. Was he a saint or a hero with feet of clay? Or was he simply a human being with flaws and great gifts who had an unwavering commitment to his people? For eight months in 1962, a small group of dedicated volunteers held together by this remarkable leader accomplished what no one had been able to do before. What the Chavez family and its allies began in the spring and summer of 1962 would eventually become a movement that infused the entire Mexican American community with a sense of pride that it had been denied for over a century. Can such a gift be any more precious as we enter a new period of anti-labor reaction and anti-Mexican racism? BOOKS: For the 1962 period, I have used the classic Jacques Levy, Cesar Chavez: Autobiography of La Causa (New York: W.W. Norton, 1975), Randy Shaw, Cesar Chavez, the UFW, and the Struggle for Justice in the 21st Century (Berkeley: University of California Press, 2008), Victoria Johnson and Jo Freeman, Waves of Protest: Social Movements Since the Sixties (Lanham, MD. 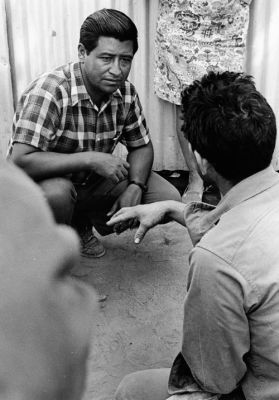 : Rowman & Littlefield, 1999), and Susan Ferriss and Ricardo Sandoval The Fight in the Fields: Cesar Chavez and the Farmworkers Movement (San Diego and New York: Harcourt Brace, 1997). The Ferriss-Sandoval book provides one of the most complete accounts of this period. Using published and unpublished texts, interviews with key players, and letters from Chavez to Ross now archived at Wayne State University, they paint a portrait corroborated by the Ross materials, that is, a small group of activists with few resources on a desperate mission to accomplish what had never been done—organize migrant field workers.